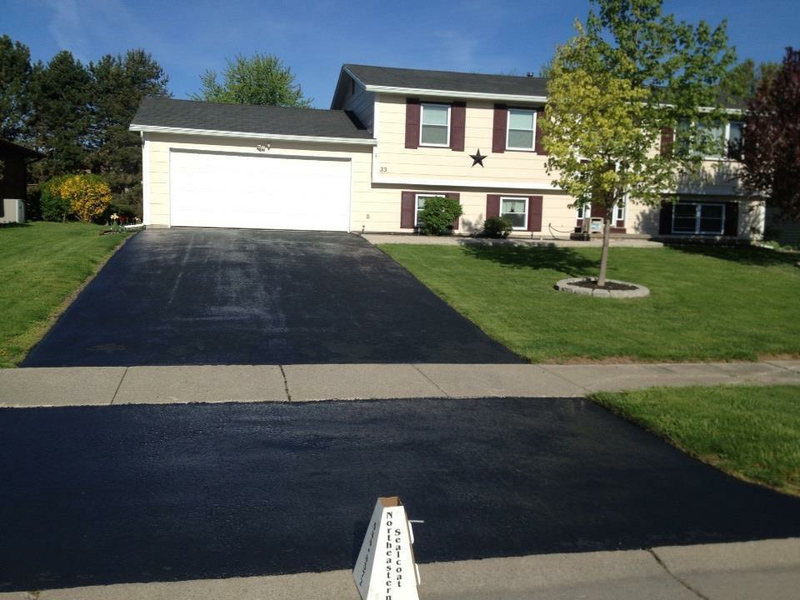 We have been Rochester’s Go-To driveway sealers for 15 years! We begin by trimming along the edges of the driveway with a power trimmer. Then we clean the entire surface with high power blowers and commercial grade wire brooms. Next we will treat all gas and oil stains with a high quality oil spot primer. We will do the best we can to cover these stains but cannot guarantee they will not bleed through. 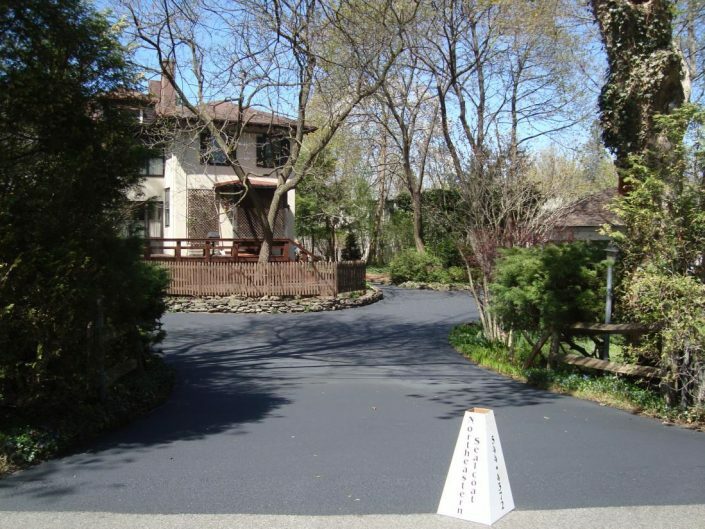 Once the pavement has been prepared properly we will begin to seal it with our high quality commercial grade sealer. 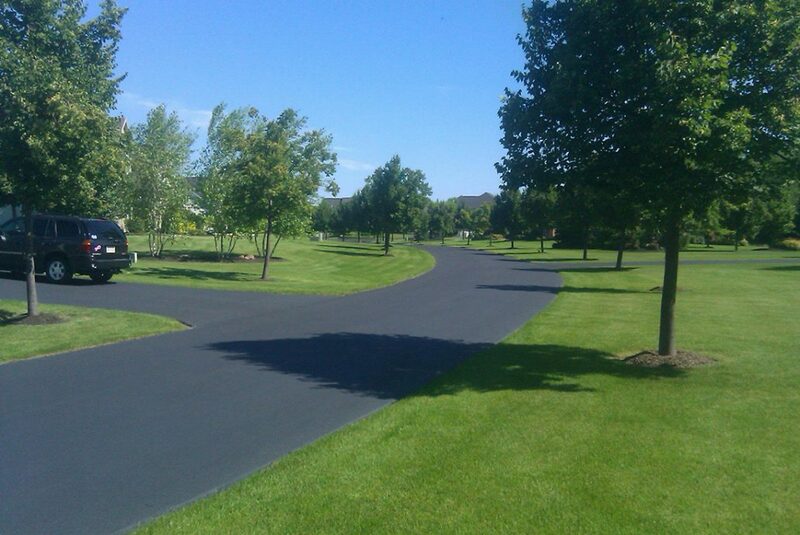 We purchase our sealer direct from the manufacturer, we do not buy from local retailers. We store it in our 6,000 gallon storage tank, this ensures us that we have a pure product and this way we can guarantee that you will not be getting a product that has been diluted with water. 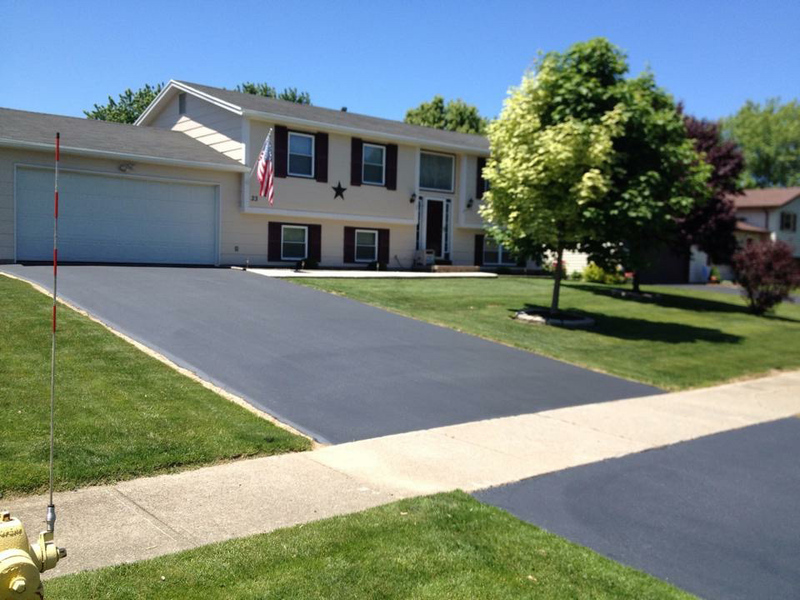 We mix our sealer to the manufacturers specifications to ensure you a quality product. All of our driveway and asphalt sealing services come with a free estimate. We want to give you the most accurate price so please contact us today at 585-544-4372 or click below and we can contact you. 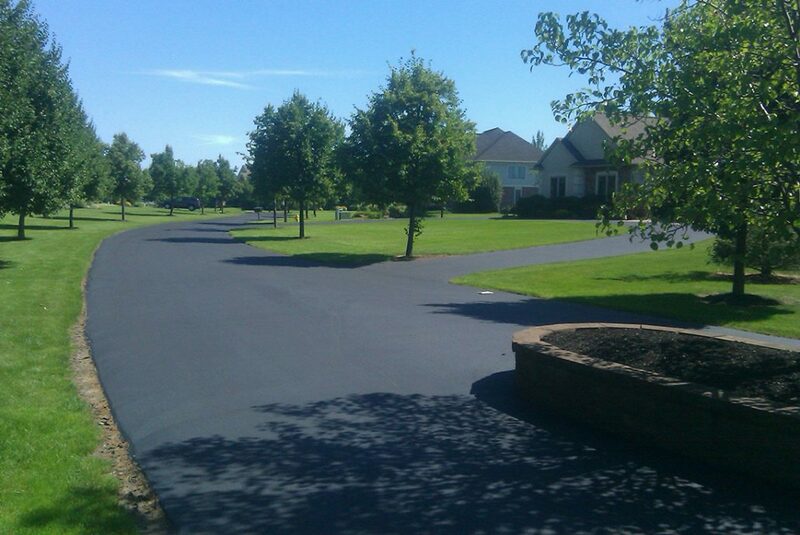 Northeastern Sealcoat & Paving will always provide quality to our customers. We will continue to learn and expand in our industry. Most of all, we will always provide excellent customer service.